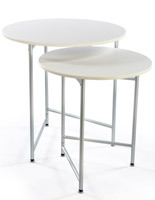 These 44" tall retail tables are the perfect way to display products and merchandise in a variety of settings. 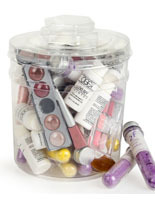 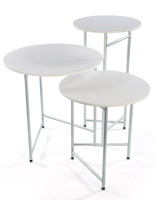 The aluminum construction provides a stable base in high traffic areas. 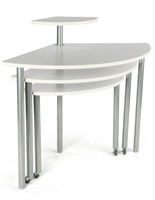 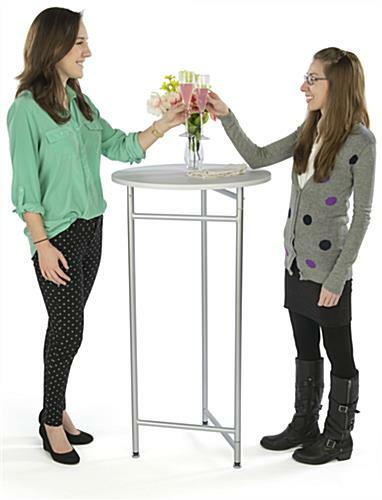 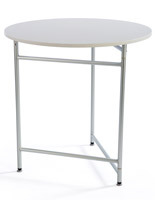 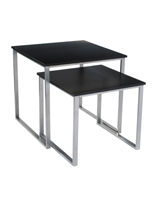 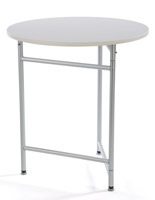 The silver and white tables are the ideal height at 44" inches tall for use and browsing. 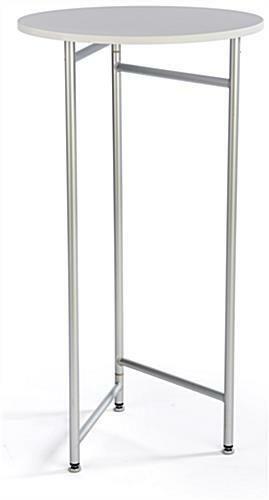 They are also lightweight at only 12 lbs. 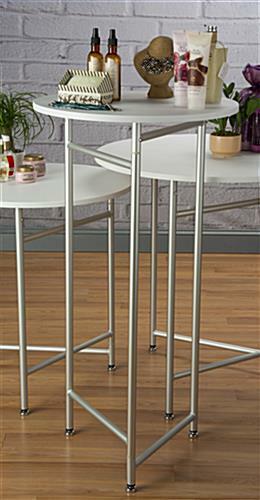 The tables can double as cocktail tables in restaurants and bars as well.